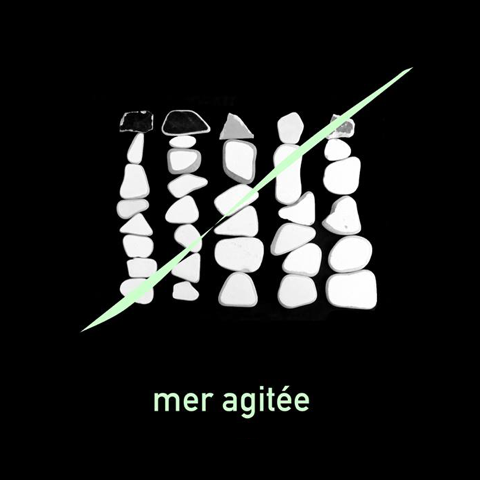 Nearly three years after the 2012 release of her debut full-length North In Progress, French electronic musician Marine Drouan—or Kritzkom, as she’s commonly known—is back with a new EP, Mer Agitée. Released this summer on Hylé Tapes, the new six-track EP is the perfect blend of ambient and industrial. Though her music is minimalistic in nature, Kritzkom is always incorporating interesting musical nuances over top the dark, pulsating beats of her tech-house foundations. And like the title suggests, Mer Agitée (which translates to “rough sea”) never stagnates. Check out the atmospheric video premier for ‘Noir,’ featured on Kaltblut Magazine. Aside from her new EP, Kritzkom just collaborated with Electrosexual on a sound installation for Turn Around Bright Eyes, a digital art exhibition at Berghain presented by Your Mom’s Agency. Book Kritzkom for DJ sets worldwide HERE.